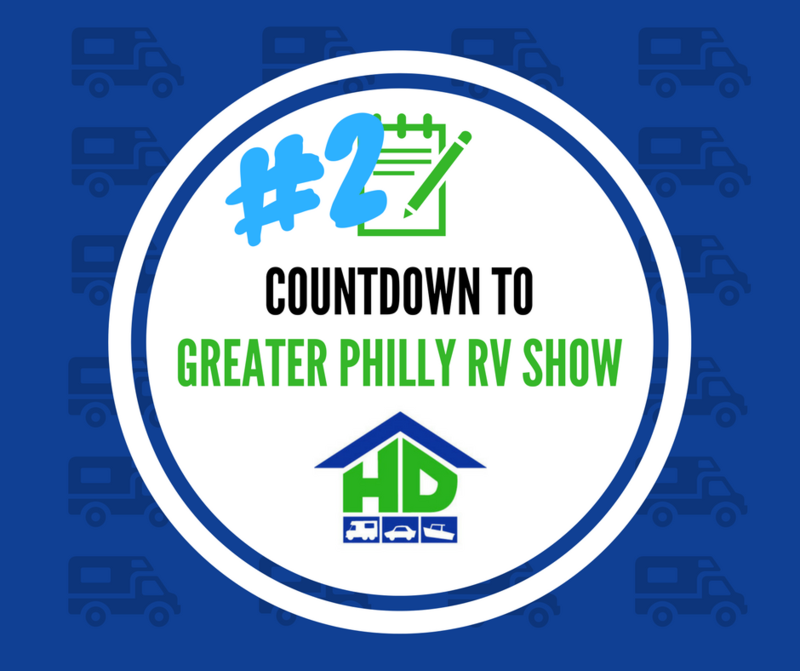 We continue our countdown to the Greater Philadelphia RV Show and the excitement is building for the HD Indoor Storage Team. We love RVs a and we love going places in our RVs. That’s why we built HD Indoor off Exit 31 of the PA Turnpike because it’s easy to get to the Mountains, Shore, and More. But, that is for www.hdindoorstorage.com. 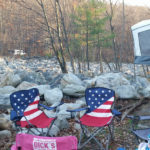 This is about the RV Show coming to our neck of the woods in Oaks, Pa. And if you haven’t been to the Philly RV Show before, you will be happy to know what else there is to discover. Have an RV — will travel. And one of the many perks of our area is great campgrounds. There is great destination inspiration at the RV Show. We were very RV focused when we went last year and were pleasantly surprised to see some of our favorite Camping Spots at the show. And this year we look forward to check-in with our Old Friends and find some new getaways. Philadelphia/West Chester KOA is a favorite for us. It is close which means that enjoying our RV and outdoors can be a reality on a weekend that may be packed with other obligations. Some come far and wide because of its close proximity to Philadelphia and ability to accommodate day tours to the City of Brotherly Love. We love the location on Brandywine Creek where you can canoe and fish. The owners are always updating to keep the facilities top-notch. We hope to check in with them at the show to hear the latest. Last year, we got the early news of a stunning store remodels. Hey Gary, what’s new? Blue Rock’s Family Campground is so unique. It’s located near Hamburg, PA (that’s right, near Cabela’s — make time for a visit). 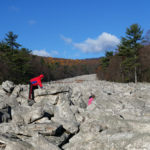 It has an amazing Boulder Field left behind by a receding glacier from the last Ice Age. We were able to camp right up against it — it is unreal scenery. There are great hiking trails from within the campground that let you hook-up to the Appalachian Trail. If you really enjoy Hiking, it’s worth taking a drive to nearby Hawk Mountain as well. But, it is really worth looking for them at the Philly RV Show because last year they brought a classic car and vintage trailer — a must see! So much left to discover! We are always looking for new finds in the Poconos. We have not really explored Western Pennsylvania. And while we are no stranger to the Jersey Shore, we haven’t camped there yet. So, we are on the hunt for some new Campgrounds this season and now is the time to plan. Hey Campgrounds — if you are going to be at the Philly RV Show, let’s hear about it. And if you know of any great destinations, give us your favs! Could there be a #3 item of RV Excitement? Stay tuned to find out. Next ›Last Day of Philly RV Show: Day of Deals!